The Mr. 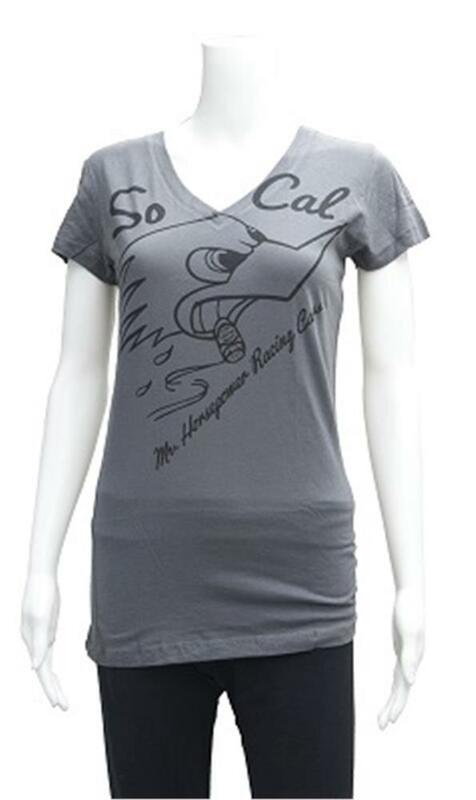 Horsepower Women's SO-Cal grey t-shirt is to honor the roots, home and still headquarters of the infamous Clay Smith Cams Mr. Horsepower company. Enjoy this cotton t-shirt in sizes small through 2XL.